You can watch live broadcast television on your Apple TV without needing a cable subscription with HDHomeRun. For those looking for "cable lite" in the form of small packaged cable subscriptions from services like Sling TV and DirecTV Now, we've got a list of the best streaming live TV services. Keep in mind, though, that most of these services don't offer unlimited access to broadcast channels like NBC, CBS, ABC, and Fox. What I'm referring to is the ability to watch any broadcast channel available in your area. That is until I got HDHomeRun. With HDHomeRun, not only can I watch live broadcast television on my Apple TV, I can also watch it on my iPhone or iPad. Plus, with a subscription, you can record live TV and watch it the way a person with cable and a DVR would watch TV. Skip those commercials! There are a few options for broadcast television transmitters, but from my experience, HDHomeRun is the most versatile with other third-party apps like Plex, Emby and Kodi. I'm going to explain a little bit more about what HDHomeRun is and how to set it up. It's a box, about the size of an Apple TV, maybe a little smaller, that acts as a transmitter. When connected to your internet router and your OTA antenna, it makes it possible for you to watch live TV on any other device that is also using the same internet connection. Here's how it works: You connect an ethernet cable to your home's internet modem. Then, you connect your OTA antenna to it (the antenna does not need to be connected to your TV set). Then, you plug it into a power source. Then, using the companion app on your iPhone, iPad, or computer, you scan for local channels, just like you do when setting up broadcast television on your TV set. Then, you watch TV. You can start watching TV on your computer right away when you download the official HDHomeRun app on your Mac or iPhone and iPad. If you want to get broadcast television on your Apple TV, you'll have to download a third-party app. I highly recommend Channels. With the app installed on your other devices, all you have to do is open the app, scan for your HDHomeRun, and start watching live TV. First off, you're probably only going to be interested in using HDHomeRun if you are a cord cutter (if you don't have a cable subscription). There is an HDHomeRun box specifically for people that have a cable subscription, but I'm focusing on people that don't pay for cable and want to watch broadcast TV on their iPhone, iPad, Mac, or Apple TV. You might be asking, "How is this any different from simply watching CBS, NBC, or ABC on my TV?" Because that's what I asked, at first. Actually, there are two main benefits to using HDHomeRun as a broadcast television channel transmitter. The obvious benefit is that you can watch broadcast television on any supported device in your house, including computers, smartphones, tablets, Xbox One, set-top boxes (like Amazon Fire TV and Apple TV), and other media centers that support such apps as Plex, Emby, and Kodi. You don't just have to watch TV on your TV. You can watch it anywhere. 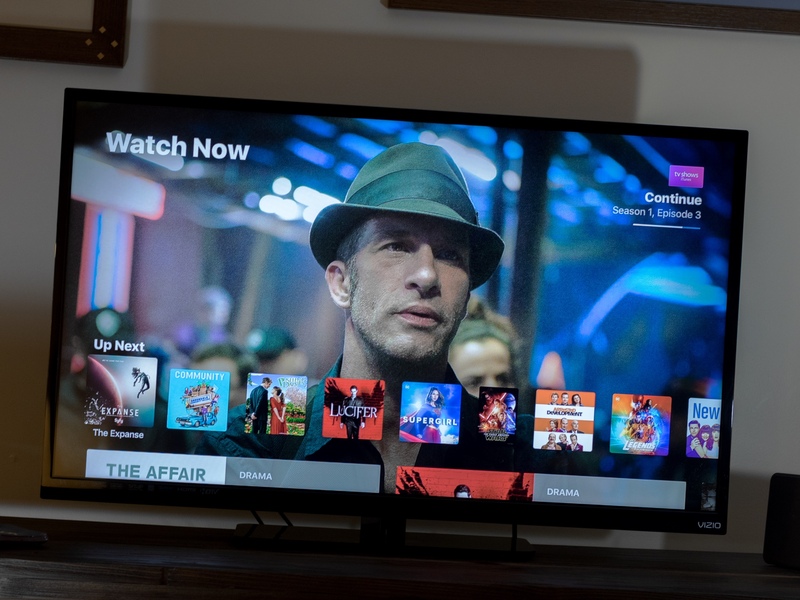 A second benefit is that, with the HDHomeRun DVR subscription, you can record live TV and watch it when you want, even when you don't have an internet connection. Even app channels for Apple TV don't offer that — cable subscription or not. If you're the type of person that would only watch broadcast television on your TV set and don't care about being able to record shows to watch later, HDHomeRun is not the set up for you. If, however, you like the idea of watching your local news on your Mac, iPhone, iPad, or Apple TV, or you want to be able to record live TV and watch it at your leisure without needing a cable subscription to do so, you should think about investing in HDHomeRun. What do I need in order to watch free live TV on my Mac, Apple TV, iPhone, or iPad? Most importantly, you'll need to be living in a country that supports digital TV that receives either ATSC, DVB-T and DVB-T2, DVB-C or QAM. You'll also need the HDHomerun box. HDHomeRun Connect Duo - $99 - Probably the box you want. It works with 802.11ac (for HD playback) or 802.11n (for SD playback) wireless internet connectivity and lets you stream live TV to two devices at the same time. HDHomeRun Connect Quatro - $149 - This is the same as the Connect Duo, but has four tuners instead of two. If three or more people in your household watch different TV channels at the same time from different devices, you might want to spend the extra $50 so the kids don't fight. HDHomeRun Extend - $179 - The same as the Connect, but with video transcoding. If you have a poor internet connection in your area, this is the model you should get. The Extend compresses videos in real time so you aren't maxing out your bandwidth. HDHomeRun Prime - $129 - This is the box that is only for cable subscribers. It requires a digital cable subscription and a CableCard, which you can rent from your provider. If you're on the Apple ecosystem, you'll also need to download the HDHomeRun app for Mac, iPhone or iPad. HDHomeRun is not yet compatible with Apple TV. However, there are a variety of software options that range in price from a few dollars up front, to a monthly subscription. It all depends on what you want or need. My preferred app for watching live TV on Apple TV is Channels for Apple TV, which costs $24.99. The iPhone and iPad version is absolutely free. It has a few extra features — it records up to 30 minutes of a channel you're watching so you can pause it and come back later (great for skipping commercials). With a subscription, you have access to full DVR support, too. You can also use Plex with your Plex Pass subscription, Emby with your Emby Premier subscription, or Kodi if you side load it to Apple TV. These apps are great for DVR recording, but require a little bit of set up and a subscription for the former two. If you don't already use Plex, Emby, or Kodi, you may want to stick with Channels. If you do plan on recording full episodes of shows or movies, you'll also need a hard drive with 6-8 GB of disk space per hour of recording. So, you might need to invest in a 1, 2, or 3 TB external hard drive to store your shows, which range in price from $25 - $130, depending on how much live TV you want to record and watch later. It's easier than you think, but SiliconDust, the company that makes HDHomeRun didn't do a very good job of explaining how to set it up. The simple instructions are actually a tad bit too simple. Here's a little more detail on what you'll need to do. The first thing you should do is suss out where you're going to set up the HDHomeRun. The box needs to be connected to your modem, the antenna, and a power source at all times, though none of it needs to be connected to your television set or computer. Be sure you've got a good location to set everything up. The next thing you should do is disconnect your OTA HDTV antenna from your TV set if you haven't already. It doesn't need to be connected to it anymore It doesn't even have to be in the same room as your TV set. Instead, connect your antenna to the HDHomeRun box using the coax cable. Then, plug the box into a power source. Any old wall plug will do. After you see a solid green light on the HDHomeRun box (just below the ethernet port), go to myhdhomerun.com to scan for channels in order to prepare to watch live TV. Once you open one of the apps, the channels should automatically populate for your viewing pleasure. If you don't see your channels, you can rescan from within the app and you should see them after that. Do you have any questions about what HDHomeRun is, how it works, or how to set it up? Put them in the comments and we'll help you out. Updated February 2018: Updated available HDHomeRun boxes and included information regarding the HDHomeRun app for iOS.